WHAT ARE YOU TAKING WITH YOU INTO YOUR TRANSITION? Home/Knowing Yourself/WHAT ARE YOU TAKING WITH YOU INTO YOUR TRANSITION? Just recently I was flying home from a visit with family. The flights involved some airport time, sitting and waiting…What does one do with a couple of hours to kill in the airport? For starters, it made me think of how we can feel the slowness of time passing as we wait for our transitional period to take us from where we’ve been to the next destination. Sometimes I walk up and down through the airport gates getting some much need exercise. I might browse in the shop windows or play games on my phone, which I accompany with heavy sighs of impatience. When is it going to be time to board the plane??? As I was anticipating my retirement and trying to vision my life change and what I was going to do next, I certainly felt like I was stuck in the airport waiting to take off. Nothing was happening and no matter how hard I tried to will myself to KNOW what my retirement life would look like, I just couldn’t. It took me a while to settle into that state of NOT KNOWING and realizing that I was not yet READY TO KNOW. Over time, with letting go of where I had been and grieving the loss of what I loved and was so familiar with, I started to get ready to venture into unfamiliar territory. But I was not yet ready to board the plane. My recent airport experience was not just about waiting and wandering. It was also about watching. With time on my hands, I became very observant of my fellow travelers, especially the wide variety of bags they carried with them. Some travelers shlepped large and unwieldy suitcases filled to capacity. I wondered how they could possibly be classified as carry-on luggage. Others had the bare minimum of baggage. I was amazed at how efficient it all looked. How could they possibly have gotten everything they needed into such a small, compact bag? Of course there is always that middle ground, not too big and not too small…but JUST RIGHT, or so it would seem. How do we decide what to take with us and what to leave behind as we enter into our journeys of transition? Surely we need to pack our best traits of resiliency, strength and coping skills. Hopefully we remember to take along our sense of humor and our patience! What do we do with our memories? Will some be too painful and cause us to get stuck? Other memories may prove very comforting and useful. 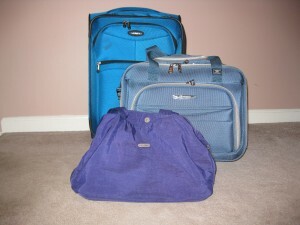 What we pack and what we leave behind can help or hinder. Being aware of that can help in our decision making. I find myself traveling lighter these days. Experience has shown me that I don’t really need to take certain “stuff” with me and get weighed down. It has made the journey so much lighter and enjoyable. 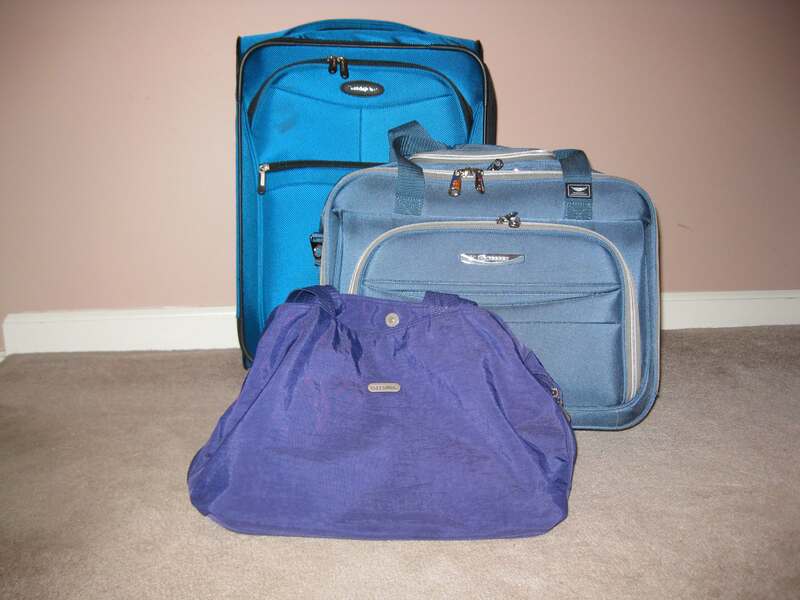 Next time you are getting ready for a trip, whether by train, plane or automobile, as you think about what you are going to pack, also think about what you want to pack for your journey of transition. Happy Travels!